What’s your first reaction when trouble appears on your horizon? Where do you turn when the challenges before you seem too big to solve on your own? Do you allow the ‘what-ifs’ to run wild in your mind? Do you call your friends to complain and vent your frustrations? Do you turn to the internet for solutions? Or, do you turn to prayer for trust in God’s answers to your situation? What is your first reaction when life gets hard? Do you turn to prayer for trust in God? When I’m feeling weak, wondering if I’ll get past the obstacles before me, I turn to the story of Jehoshaphat and the people of Judah in 2 Chronicles 20. After many years of peace and prosperity, word came that three large armies were marching toward Judah. Although Jehoshaphat had a strong army himself, they were no match for these three nations who had banded together against Judah. Jehoshaphat was alarmed and knew he couldn’t face down these armies on his own. As three armies marched toward his borders, Jehoshaphat turned first to prayer for trust in God. His first move wasn’t to gather his military leaders to draw up battle plans. He didn’t begin to worry or complain. He didn’t send out envoys to request assistance from other nations. Instead, he gathered the nation together in prayer. Jehoshaphat placed his trust in God completely. He trusted God to lead them into battle and to provide the battle plan. He submitted his worry and anxiety to God, freeing his own heart to worship and praise God. Jehoshaphat’s prayer for trust provides an outline for us to pray when troubles loom large on our own horizon. You can model your own prayer for trust in God using the TRUST acronym. Begin by giving thanks for who God is. Call upon his attributes and names, his greatness. Honor his power and might. Next, remember great things God has done in your own life, in the life of someone else, or examples from the Bible. Remind yourself of God’s faithfulness and glorify the great things God does for us. Unload your concerns and unburden your heart. Pour out your needs and requests to God. Share the challenges you’re facing and ask for God’s help. Place your trust in God. Commit to fix your eyes on him, telling your heart and mind that God is big enough to handle whatever you’re facing. Know that his power is enough. Certainly more than your own power, definitely more than the trials in your life. So, come before God in your prayer and place your trust in him. Will you turn to prayer for trust in God when troubles loom large in your life? When you turn your eyes to God and trust him with your burdens and trials, you’ll discover peace and strength to sustain you through any storm life brings. Pray for trust in God and submit your heart to him. Lean into God’s power and strength, allowing him to carry you through. Want to pray the TRUST prayer for your own life? Download a FREE template to help you work through this powerful prayer. Simply enter your email address below to join our weekly ‘Prayer and Possibilities’ newsletter for faithful encouragement and I’ll send you this free worksheet for the TRUST prayer. 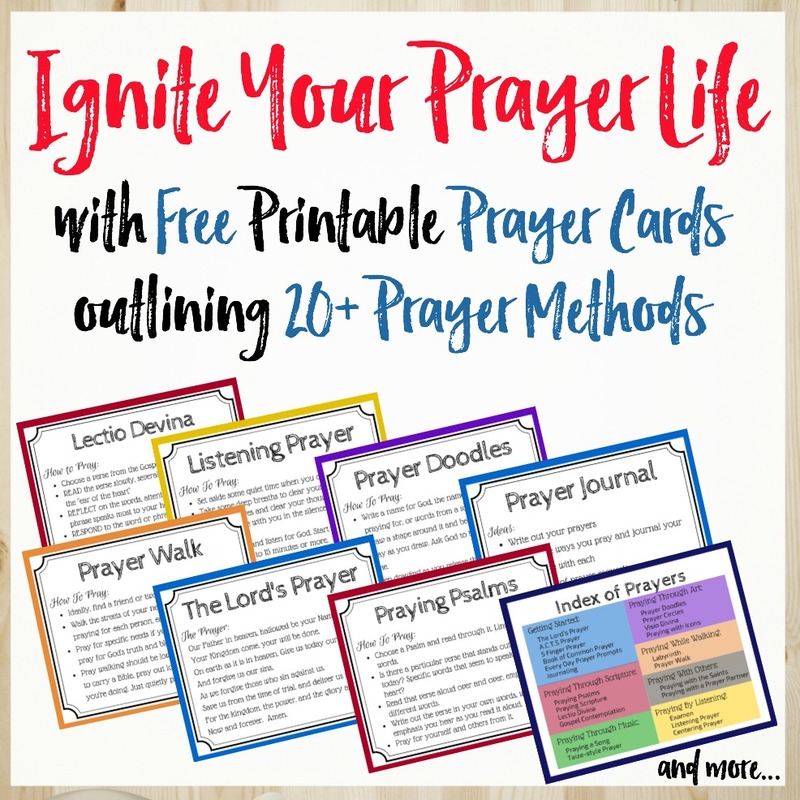 Pray Your Own TRUST Prayer - FREE Worksheet! Join our 'Prayers and Possibilities' newsletter for weekly encouragement and I'll send you this FREE worksheet for praying the TRUST prayer. Make the TRUST prayer your own, using this FREE worksheet to personalize this powerful prayer. Turn your eyes to God and TRUST him with your burdens and trials. Already on our list? Enter your info below so I know to send you the free TRUST Prayer Worksheet. Kathy…This is awesome! I am sharing the trust acronym on social media now. Trusting what we can’t see is so hard, yet will set us free. Thank you for sharing this encouragement to trust the power of God!